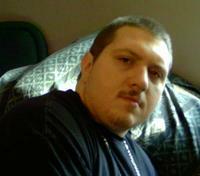 Mark Timothy Hand, Jr., 32, of 785 Vaughn Road, passed away Thursday, October 3, 2013 at his residence. He was born in Guilford County December 2, 1980 to Kathy Lucas and the late Mark Timothy Hand, Sr. He loved hunting, fishing and four wheeling but first and foremost loved his two sons, Tyler and Austin, and was of Baptist faith. Survivors are wife Jenny Hand, sons Mark Austin Hand and Timothy Tyler Hand, mother Kathy Lucas, Step-father Eugene Lucas, sister Ashley Lucas, brother Duston Lucas, grandmothers Vienna Williamson and Nancy Hand, aunt Tammy Locklear, uncle Jerry Hand and aunt Robin Hand. Funeral service will be 7 p.m. Sunday, October 6, 2013, at Harrelson Funeral Home in Yanceyville with visitation one hour prior (6-7 p.m.). In addition to his father he was predeceased by grand-fathers Buck Locklear and John Hand. I am so sorry for your loss. You are in my thoughts and prayers. He is now with his father and grandfathers in Heaven. He is in a better place and will be waiting for all of us when it is our turn to join him. My heart is heavy thinking of what you are going through and I love each of you. We are so sorry for your loss. Timmy was always a good friend to me and mine. We will miss him and will keep all of you in our thoughts and prayers. If there is anything you need please don't hesitate to call. My heart goes out to your family! I live in Ohio and could not get down there for the funeral but please know my thoughts and prayers are with your family during this sad time. I know Mark (his father) will be so glad to see his son in Heaven and we all can see them again one day!